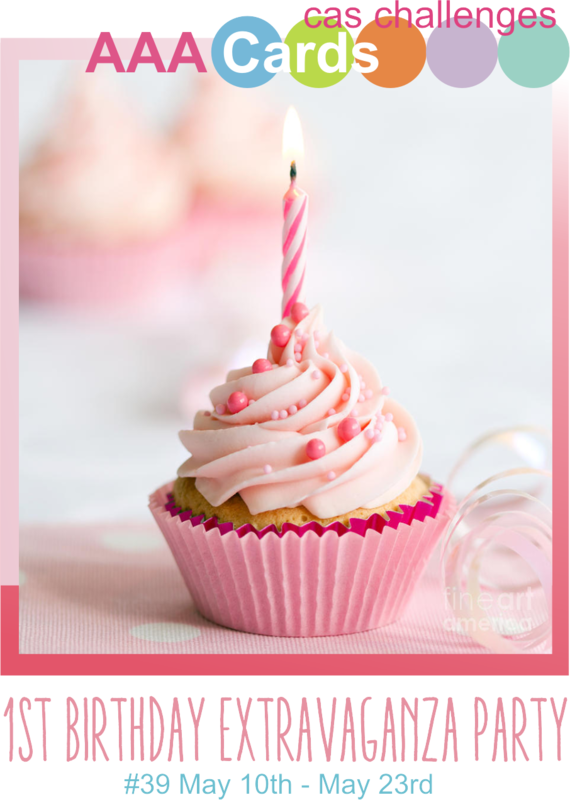 It's AAA Cards first birthday and I just had to make a card so I could join the party :) I'm so glad I managed to link up before it closed..got there just in time!! I've been meaning to play along for the last week but other chores got in the way. There is just never enough time for crafting! 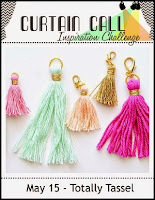 My inspiration for the colours and the tag with the tassel are from Curtain Call. I loved the green, gold and pink tassels..so pretty. I recently got my hands on some PTI goodies and it was time to play with them! I absolutely love the Doodlie-do flower set, it's going to get alot of use! I also used the linen impression plate - love, love, love! I coloured the beautiful flowers in with my copics and added some wink of stella and liquid pearl drops. I used to co-ordinating dies to cut them out. I die-cut a tag with paper from Rise and Shine pad and stamped happy in the top left hand corner. I layered the flowers and leave in the bottom right hand corner. I made a 'tassel' from three different DMC threads. I used PTI linen impression plate on a panel of plain white card stock and spritzed it lightly with gold colour shine. I then adhered a strip of paper down the left hand side. I stamped 'birthday' with tuxedo black ink directly onto the panel. I attached the tag to the card using foam pads and added some gold glitter drops to finish. I hope you like it. It's not quite what I had envisioned but I think it turned out all right! Thanks for visiting, enjoy the rest of your weekend. Gorgeous card! Love your colorful take on the Curtain Call Challenge. Thanks for joining us! Beautiful card! I love the bright, pretty colors and those cute flowers! Thanks for joining us at Seize the Birthday! 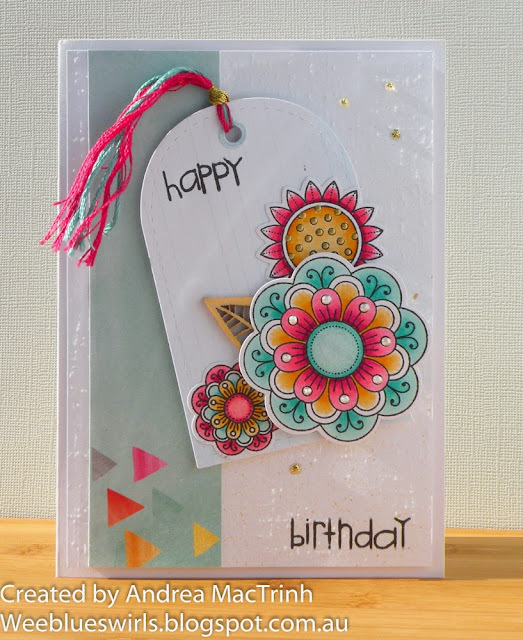 Fun and colorful card. I like the linen impression plate might have to go on my wish list. Love the pop of color against the beautiful white! Thanks so much for playing with us at Seize the Birthday! LOVE this...your use of colors (& your coloring)....sooo perfect! Such a pretty card Andrea. Love the lovely flowers and the fresh and cheerful colors. The multicolored yarn looks great on the tag. Thank you for playing along with us at the Curtain Call Inspiration Challenge. Beautifully done card, great design! Glad that you could join us for the challenge at Come And Get It…..hope to see you back soon!